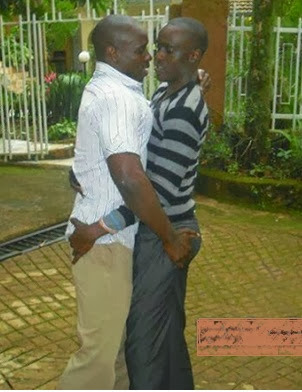 Mutinda and Mutiso got Married in a public gay wedding in Machakos just after Kamau and Njoroge wedding in Nairobi. - Bana Kenya News, Real African Network Tubanane. Home Relationship Mutinda and Mutiso got Married in a public gay wedding in Machakos just after Kamau and Njoroge wedding in Nairobi. Mutinda and Mutiso got Married in a public gay wedding in Machakos just after Kamau and Njoroge wedding in Nairobi. Just a Month after Kamau and Njoroge got married in Nairobi, another gay couple got married in Machakos. The Machakos town is estimated to have more than 20,000 gays as research conducted by a private research institute. Mutinda and Mutiso got married on 28th October 2017 in Machakos town. The wedding comes after two gays had a public wedding that happened in the last two Months. The reduction of opposite s£x weddings is steadily declining due to many factors that are contributed by the Economy. A lot of young men have been indulging in gay-ism rather than participate in girlfriend relationships. The young men who exercise such are saying, it stress-free to have a man to man relationship than a Man-woman relationship. Mutinda and Mutiso have publicly wedded after Kamau and Njoroge and another couple who had a secret wedding in Machakos. Several groups have been formed in Machakos who hook up other Men.